Show your Steel City pride with our new line of black and gold apparel! Read on to learn all the details. We’d like to introduce you to our newest Pittsburgh Proud Adult T-Shirts! They showcase the beautiful city skyline and will fit right in at any football, baseball, or hockey game! Pick yours up today for only 9.99. 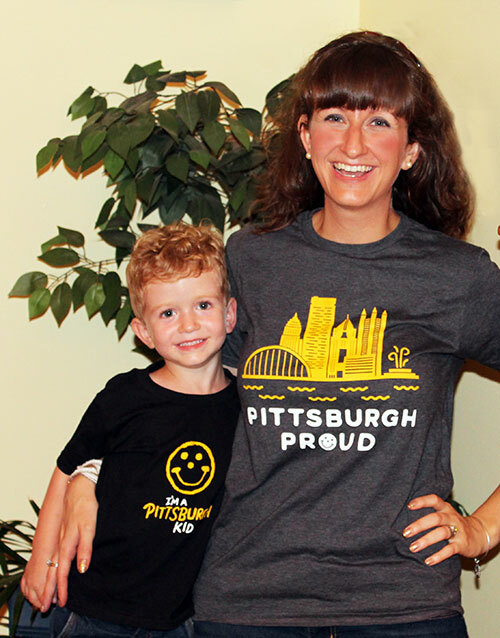 Plus, treat the kiddos to our new “I’m A Pittsburgh Kid” T-Shirts! For only 7.99, these Smiley shirts are sure to keep them smiling all season long!